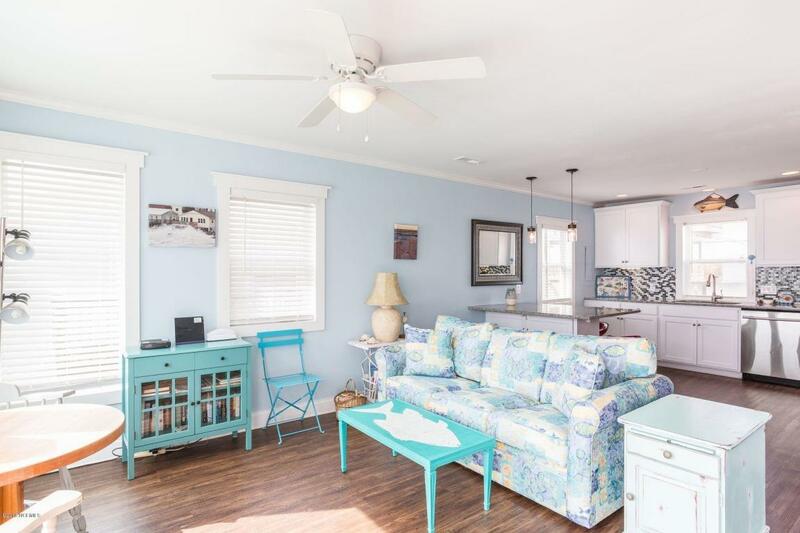 This beautiful OCEAN FRONT cottage, which withstood Hurricane Florence exceptionally well, just south of Freeman Park at Carolina Beach, home of the best views on Pleasure Island! 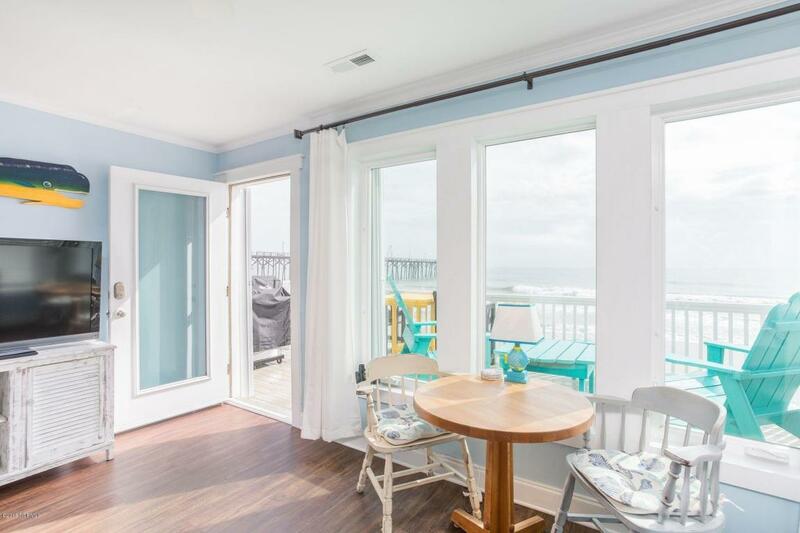 This recently renovated Ocean Front cottage is absolutely stunning on the inside. Recent updates include new exterior siding, new metal roof and granite counters in the kitchen. The back deck is a perfect place to enjoy your morning coffee or an afternoon cocktail, providing stunning views of the Atlantic Ocean. 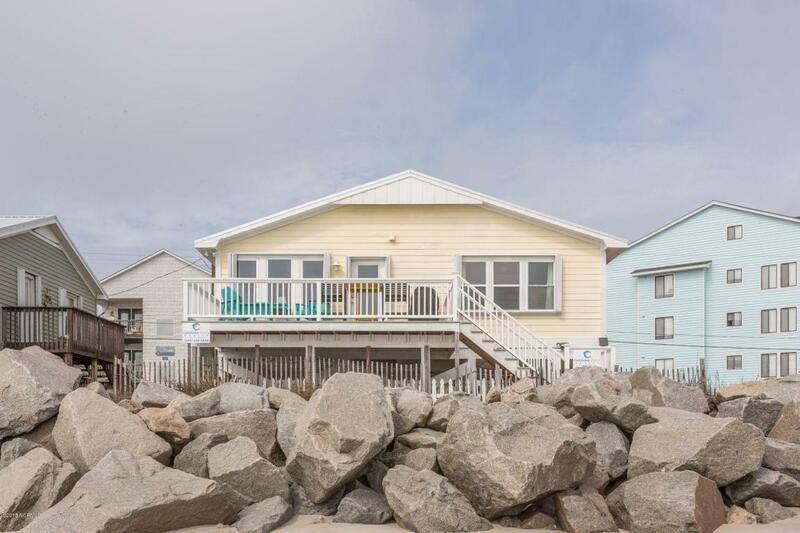 At night, open the windows and listening to the roar of the waves crashing onto the shore. 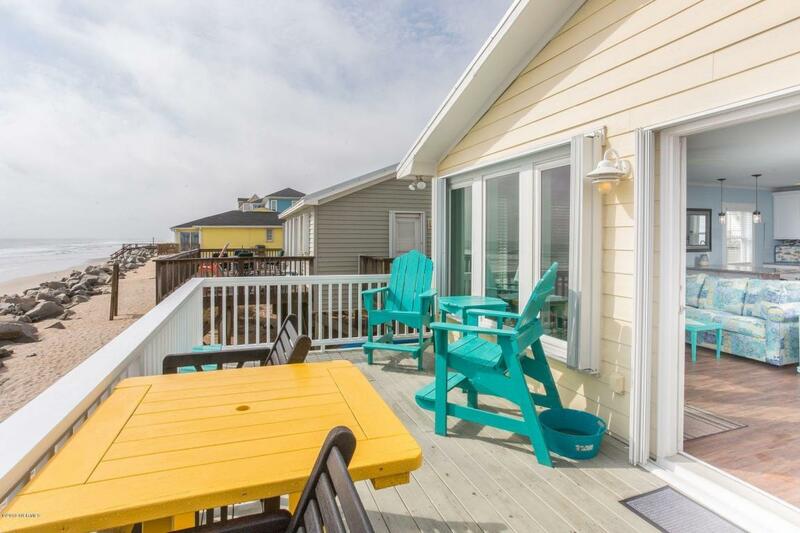 This home is currently on the vacation rental program, comes fully furnished and has a great rental history with excellent rental income.This home is located directly adjacent to Pier and next to Freeman Park. Please note, this is a non conforming structure. Please inquire with Town of Carolina Beach planning and Zoning for more information.